monitoring your chargeback situation. Midigator doesn’t sleep so you can. matter most to your business so you’ll know exactly what’s happening at any given moment. 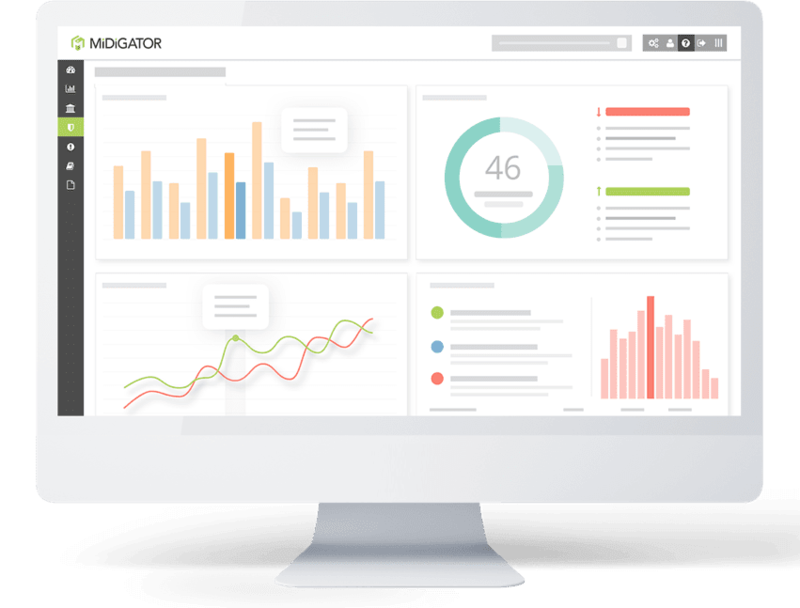 Easily monitor chargeback ratios as they fluctuate throughout the month. Discover when chargeback counts are reaching a critical level. Be on the lookout for high-dollar chargebacks that cause maximum revenue loss. 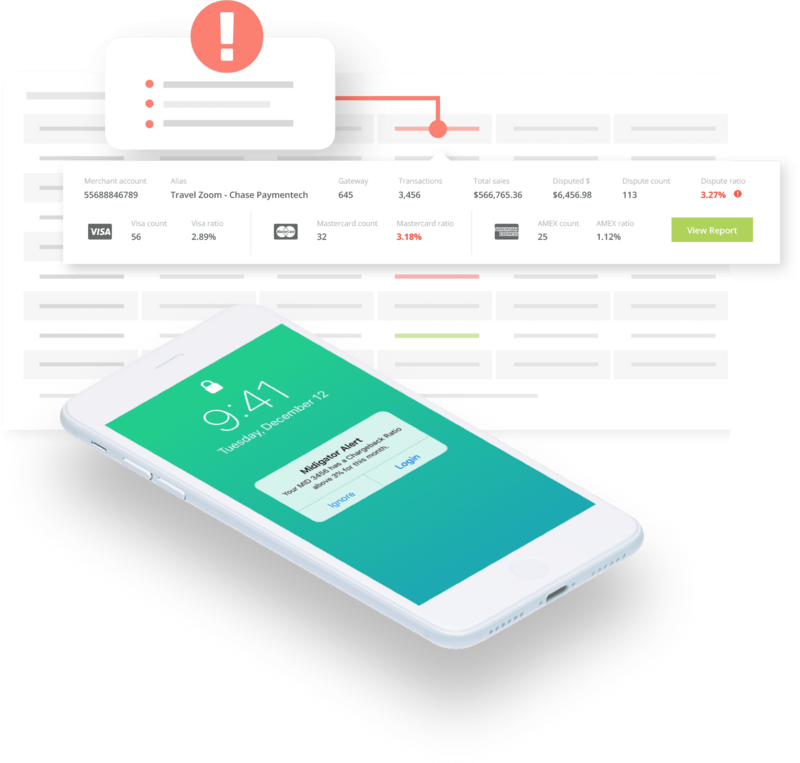 Review total sales across multiple merchant accounts at a glance. Keep an eye on transaction counts and check for unusual activity. Monitor ratio and count simultaneously to comply with card network rules. Set parameters to gauge risk and be notified the moment a threshold is breached. Send emails to yourself or anyone on your risk management team. 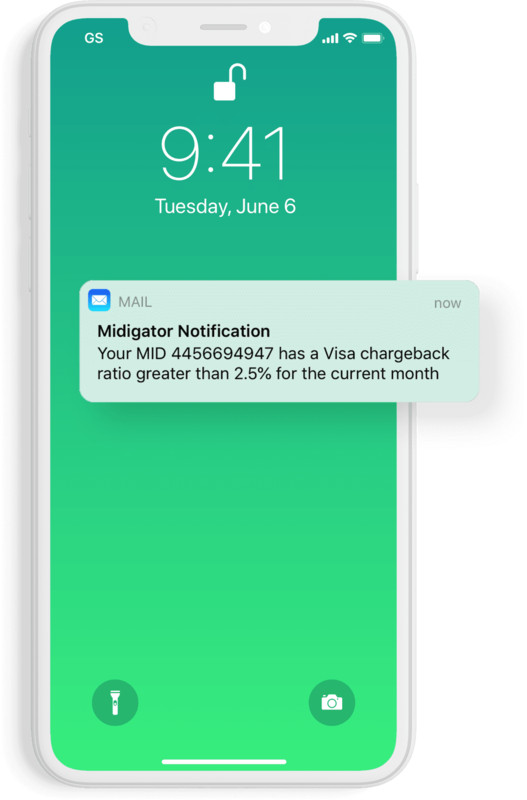 No more logging into multiple portals to monitor your data—Midigator delivers instant updates right to your inbox. problematic metrics at a glance. 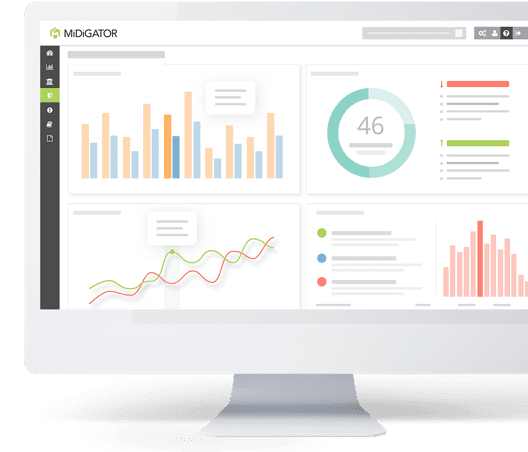 With Midigator, the data you need to effectively monitor risk is just a click away.